WE FUNDED 100% IN A LITTLE OVER 7 DAYS!!! This has been awesome!! We are so grateful! We are fully funded in the first week!!! The last week has been an awesome ride. Constantly getting notifications of a new pledge, interviews for the book, and watching our funding amount go straight towards its goal. THANK YOU! You have made our dreams come true. We have some GREAT stretch goals planned. Our first is one of our FAVORITES!! 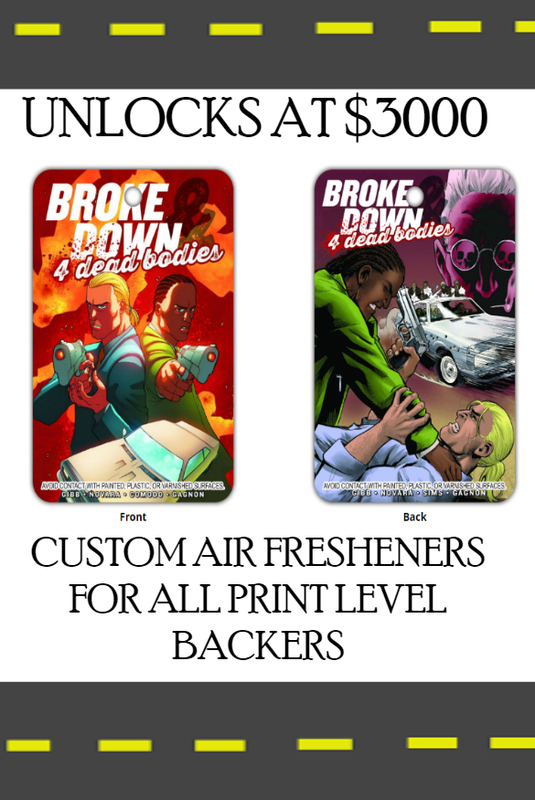 We will be giving all PHYSICAL/PRINT BACKERS A BROKE DOWN AND FOUR DEAD BODIES AIR FRESHENER! (New Car Scent- Luckily Dead Bodies smell wasn’t an option). Help us raise $3,000.00!! 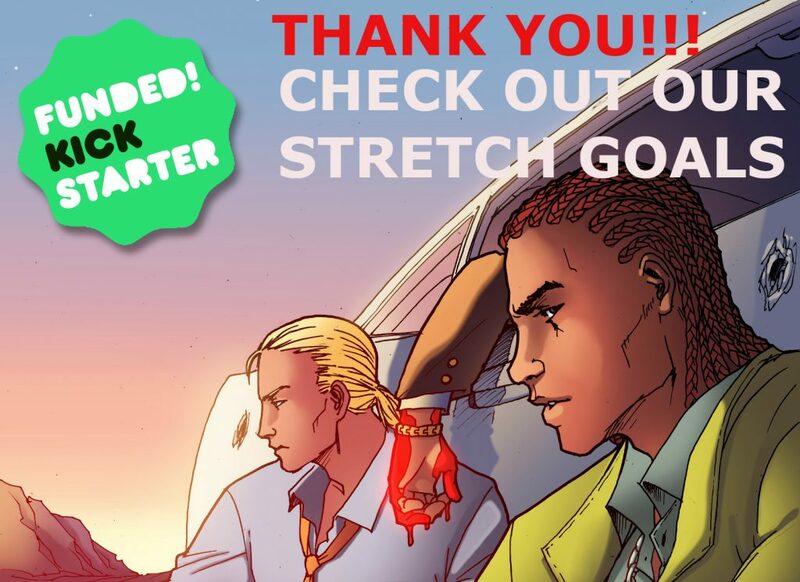 The goal for Broke Down is to get more readers and we do that by getting MORE BACKERS!! So, let’s try and get 125 backers!! If we reach 125 backers, we will go LIVE and give away a PAGE of ORIGINAL ART!! Plus we will add a really cool PIN UP to Issue 1. How does that sound?? 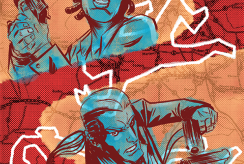 Since we are funded, we went ahead and added 2 more pages to our preview!! 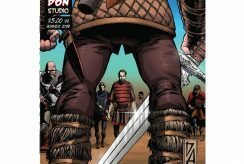 Check out the first 5 lettered pages. YUP, we will have store pledge levels and a couple other surprises coming up this week. So, keep checking back. 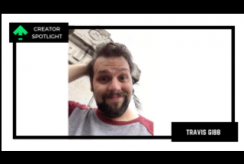 My wife (and editor) will be online for KICKSTARTER Q AND A, PRIZE GIVE AWAY and THANK YOU August 12th, 2018 at 8:30pm. It will be fun!! We will try and get some of the rest of the BROKE DOWN CREW THERE AS WELL!! We have the update for the BROKE DOWN AND FOUR DEAD BODIES TRADING CARDS!! This time we have MR.WASHINGTON.